In the spirit of #keepingheritagealive, I would like to do a restaurant review. 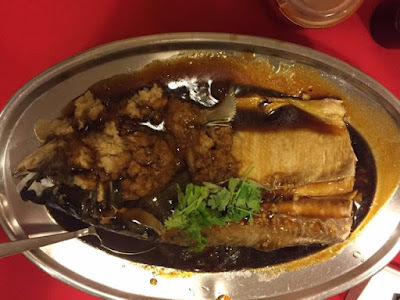 This is a very special family-run restaurant serving the best steamed fish head and authentic Heng Hwa cuisine. 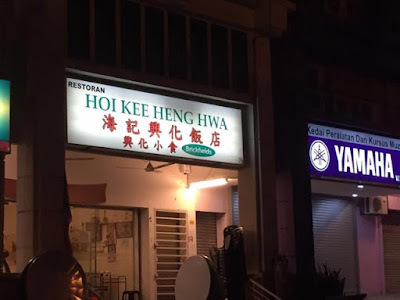 It's called Hoi Kee Heng Hwa restaurant. It used to be a small rustic shack with no air conditioning situated in Brickfields. Due to development, this gem of a restaurant had to relocate and we were devastated as we can't locate it after it was demolished. By sheer chance, after many years later, we found it and it has moved to Taman Desa and its fully air conditioned now. A far cry from its humble origins. We have been going to this restaurant for decades with my family and the Food still tastes just as good today. We were just there last weekend and the chef remembered me and my late daddy. Had a little chat with him. Despite its new sleek look, it still retained the customary red table cloth, hot Chinese tea with a small basin to wash your cups and utensils. A hallmark feature in traditional Chinese restaurants. 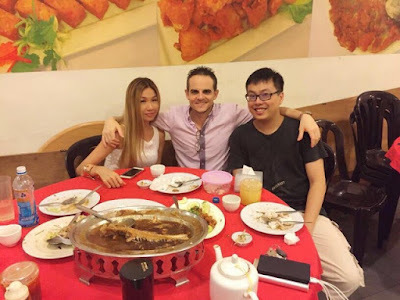 We ordered the signature steamed fish head with minced ginger, oyster omelette, stir fried sweet potato leaf and honey ribs served with white rice. These dishes have been our staple and we never ever got tired of them. 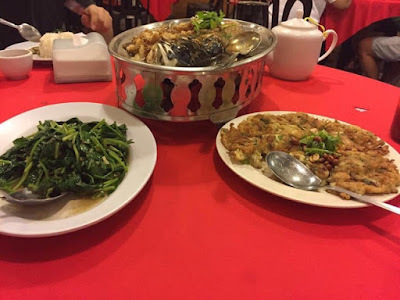 This restaurant is perfect for family meals and it is children friendly. On Sundays, it's nice to see families dining in here with grandparents and grandchildren. The owners and staff are really friendly and efficient, an added bonus. Food is served quickly and always fresh. I didn't ask, but I think there is no MSG in the food as you don't get that thirsty feeling after meals. Budget Beauty Mommies, I highly recommend this restaurant as it's steeped with tradition and food is so good. Prices are still so reasonable too. Dad would have been so proud that we have converted a Brit to being a fan of this restaurant too.